SMIC had chosen to announce its decision after Shang-yi Chiang’s term as Independent Non-executive Director started on the 20th of December. According to the contract, Chiang will be paid USD$ 40 thousand (NTD$ 1.28 million) annually, with 187,500 shares of common stock and same amount of letter stock. Shang-yi Chiang, a 70 year-old professional with over 40 years of experience in the semiconductor industry, started serving as the Vice President of Research and Development at TSMC since 1997. 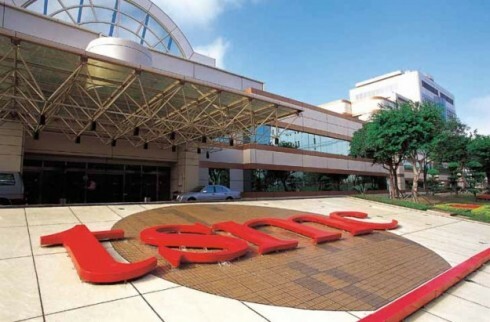 He is one of the pillars supporting TSMC, participating in several monumental technology developments, from microfabrication, 20 nm technology, to 16 nm FinFET technology. Before Chiang retired in 2013, he was the First-executive Vice President and COO of TSMC. He had served as the Chairman’s consultant for two years after his retirement and was elected as a new ITRI Laureate in 2015. At that time, it was even rumored that Morris Chang wanted Chiang back for the development of 7 nm technology. Chiang’s absence has definitely shaken up the whole company. SMIC is currently one of the major wafer OEMs from China which has benefited from the support of the Chinese government. It has successfully put 28 nm technology into mass production in the second half of 2015, and ranks at the same level with UMC, Taiwan’s second biggest wafer OEM. Lately, it also announced that it would build its first 14nm production line in Pudong, Shanghai. The line is expected to be completed by the end of 2017 and will start operation in 2018. Following that, SMIC will also begin establishing potential fabs in Shenzhen and Ningbo. All of these represents SMIC’s ambition to scale up its business. With the support of the Chinese government to provide subsidy for wafer tape-out, SMIC will be able to volume up its output given from manufacturers attracted to the subsidy and to turn its profit around from red. In that case, it is foreseeable SMIC’s gross revenue and margin will surpass those of UMC.